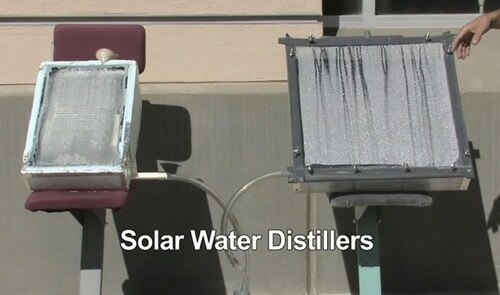 Trust New Mexico State University to come up with a effective solar water distiller. Students there came up with this simple but effective method for cleaning contaminated water. Sadly, many people have died of thirst in an emergency situation despite having water all around them. They just didn’t know how to purify it.